Each month, Cassville Primary School presents a different character trait in classrooms in partnership with the counseling department. At the end of the month, classroom teachers nominate students they think best exhibit the character trait that month. During the month of February, students were selected for the character trait of cooperation. 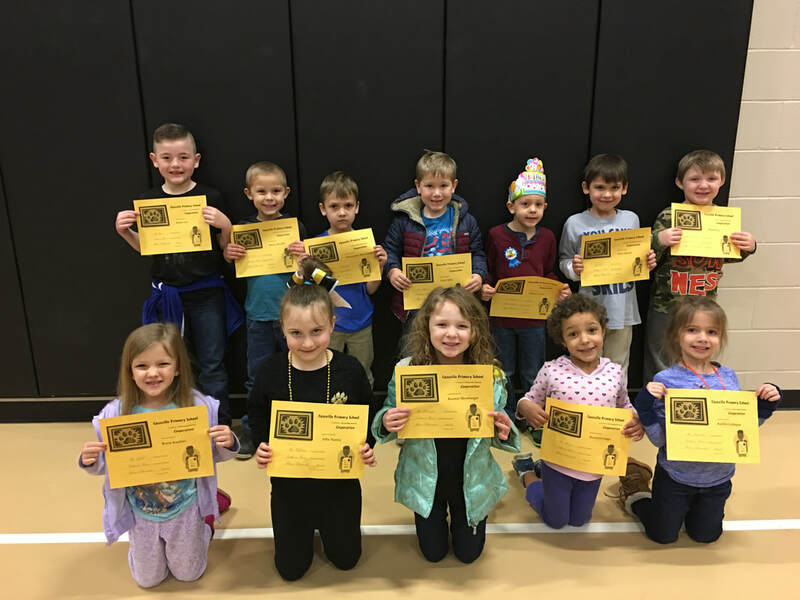 Kindergarten and kinder academy students who were selected as February’s cooperative students are pictured above, from left to right. In the front row: Roxie Koehler, Allie Norris, Karsyn Messbarger, Rozalyn Lingo and Kaitlin Gahagan. Back row: Kelby Lee, Mason Royalty, Christopher Hernandez, Gabe Mills, Nathan Lyons, Alex Patrick and Elijah Pyle. Not pictured: Julian Daniels. 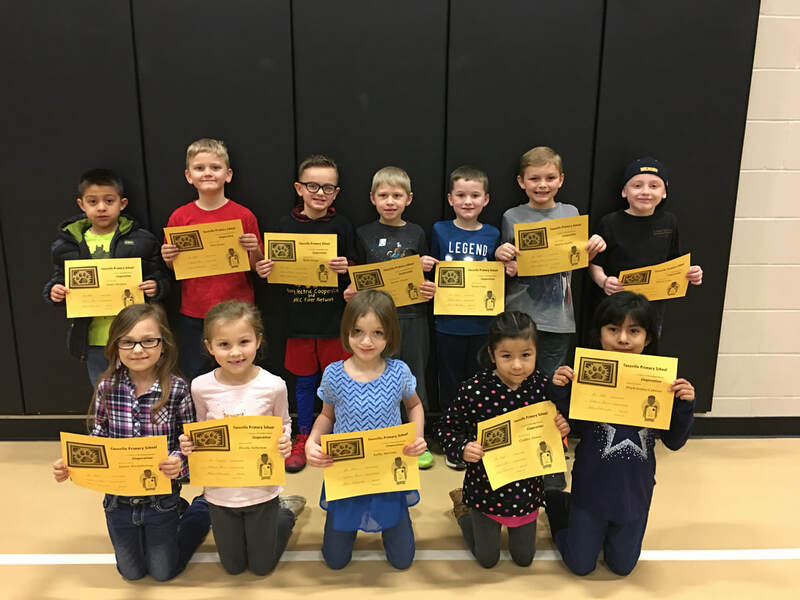 First grade students who were selected as February’s cooperative students are pictured above, from left to right. In the front row: Khloe Westpheling, Prezlie Artherton, Kelby McCarty, Cynthia Alonso and Daili Juarez-Cabrera. Back row: Drake Mendoza, Silas Deans, Bodie Hodge, Stormy Tanner, Kason Craig, Waylon Austin and Mason Long. 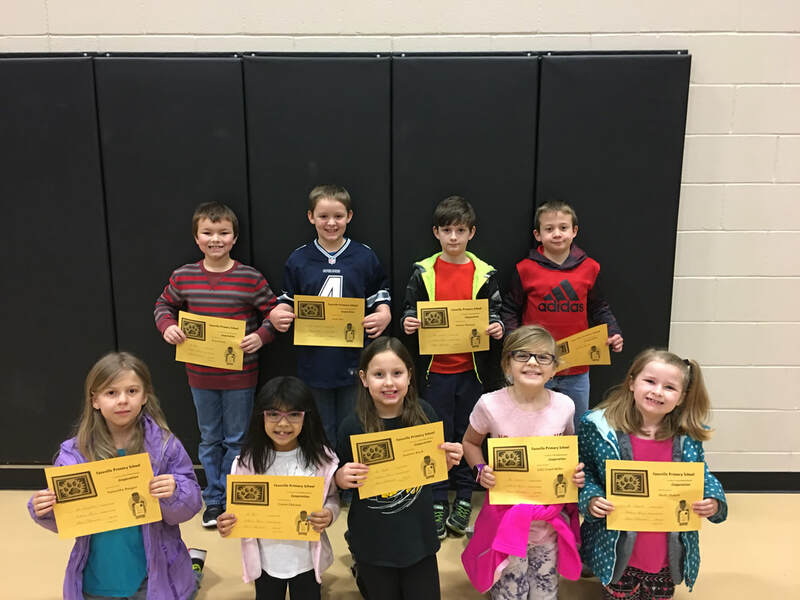 Second grade students who were selected as February’s cooperative students are pictured above, from left to right. In the front row: Samantha Baugus, Casiphia Deleon, Jasmine Reed, Lilli Graef-Miller and Molly Pickett. Back row: Rykon Beck, Andy Day, Charlie Phaneuf and Satchel Beach. Not pictured: Averi Flippo, Aiden Dupuis and Josue Verde.